Today we’d like to introduce you to Keith Miller. After college, I pursued my studies professionally as a Cantor-Minister in the Jewish faith, and after 5 years of training, testing and examinations received my Cantors Commission from the Cantors Assembly (the largest professional body of Cantors in the world.) I worked in the pulpit for close to 25 years, teaching, officiating at religious services and lifecycle events. I’ve had an interest, really a passion for wine for quite a long time, and in my spare time took wine education courses offered through a number of organizations, including Wine Spectator, Vocation Vacation, North American Sommelier Association, and Learn About Wine, all in an effort to gain more knowledge. I’ve always said that wine is like anything else pursued on a high level: the more you learn about it, the more you realize how much you don’t know. It was and continues to be humbling. In 2011, right around the time I left full-time congregational life, California’s Department of Beverage Control created a special license for online retail wine sales. We (my wife and I) had just incorporated our business and the time seemed right to obtain our ABC license and move forward with our business plan. Knowing off the bat that it would be challenging if not impossible to compete with big-box wine outlets, we decided to focus on high quality, smaller production wines that often pass under the radar. 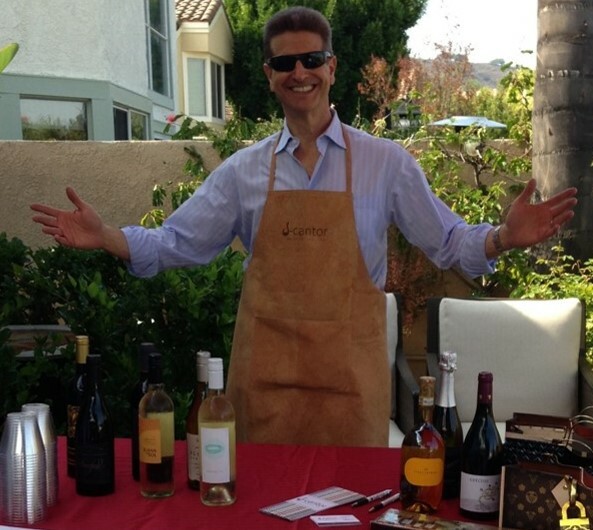 Due to my deep and long-standing ties with Jewish groups, we’ve also been able to expand our relationships with kosher caterers and non-profit Jewish organizations that need kosher and/or Israeli wine for banquets, special events, and life-cycle events, such as Bar and Bat Mitzvah affairs, weddings and the like. This approach has been successful and we feel very blessed that what started out as a hobby has expanded into our business. They say that you learn more from mistakes than from success, and this has been true for our business, as well. I’m a bit of a cork-dork. If I see a rare or unusual wine on a list I’ll almost always order it. I learned that this is great when enjoying wine personally, however these wines are not usually what most consumers want. It took a while to get it right and bring into our shop things that we enjoy personally and also things that our customers will purchase. That learning curve took a couple of years but I think we’ve gotten it right now most of the time. Since we are a small business we have to do everything ourselves. We handle the back-end of our website, interact with our suppliers and distributors, write all of our own copy for our newsletter. We do not bring in wines before we have had a chance to taste them, either at our licensed premises or at a professional trade tasting. We handle shipping and fulfillment. We will deliver our local wine club members their wines personally. We handle marketing and advertising, too. We do everything ourselves. We’re fortunate that we have low-overhead so we try to be fair and very competitive when pricing our wines. We’d rather have a good relationship with our customers and make a reasonable profit than take advantage of people by overcharging them. Because of our niche with Jewish institutions, both religious and cultural, we have become a go-to retailer for quality and affordable kosher and Israeli wines, particularly for customers who are Jewishly sensitive but non-Orthodox. We understand what makes wine kosher on a personal level and are able to pass that knowledge on to our customers who might need to order these wines for affairs but don’t have the ability to taste everything on their own and might not be aware of what is available. Our customers trust us because we are trustworthy and we take a great deal of pride in helping to make the wine experience for their banquets stellar. I had a relatively normal upbringing. I grew up on LA’s westside and went to public schools throughout, including college. I attended day camp and sleep-away summer camp and youth groups. I loved playing sports, particularly softball and basketball. I grew up enjoying tropical fish and was very into customizing my car once I was old enough to drive. I had the best sound system I could afford in my ’67 VW Beetle around (Blaupunkt) I remember driving around Westwood Village with my windows rolled down blasting Queen’s Dragon Attack on those homemade speakers. The bass riffs and drumming sounded insane in that little car. Everyone was looking…probably thinking what a loser I was! Judaism was always a part of my life, so there were lots of holiday celebrations and the like. I’d say that I was always a bit shy and insecure growing up but hit my stride during and after college in terms of confidence.